Two years ago, I ordered an Orenco apple tree. The nursery wasn’t able to fill my order, so I tried again last year. Again, the nursery wasn’t able to fill the order. 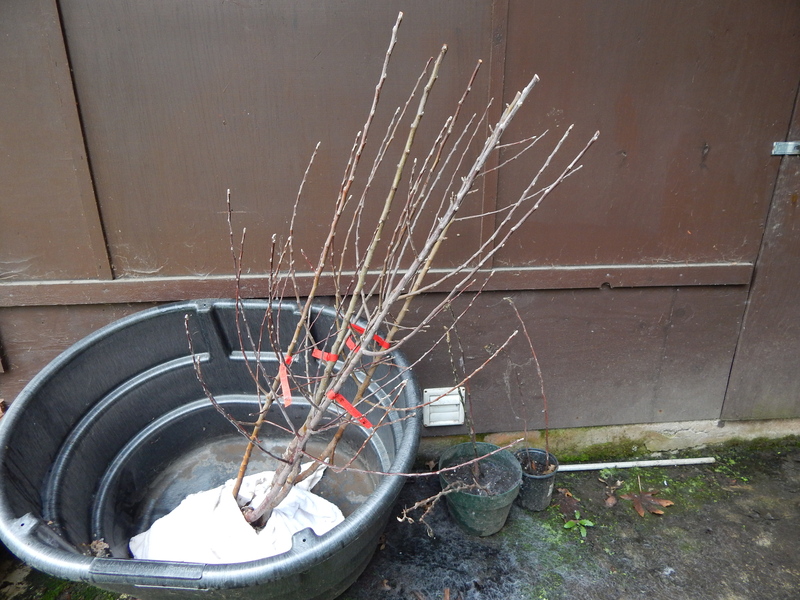 As a result, I talked with the orchardist who has been custom grafting apple trees for me and he grafted the Orenco for me. In December, the tree was ready to come to Illahe. It has been planted and I’ve been waiting for it to break dormancy. Today, it started showing signs that it is breaking dormancy (the buds are swelling and there is a tiny bit of green on the tip of one bud). In addition, the plants that I’d ordered a few months ago have arrived. So what are they and why? 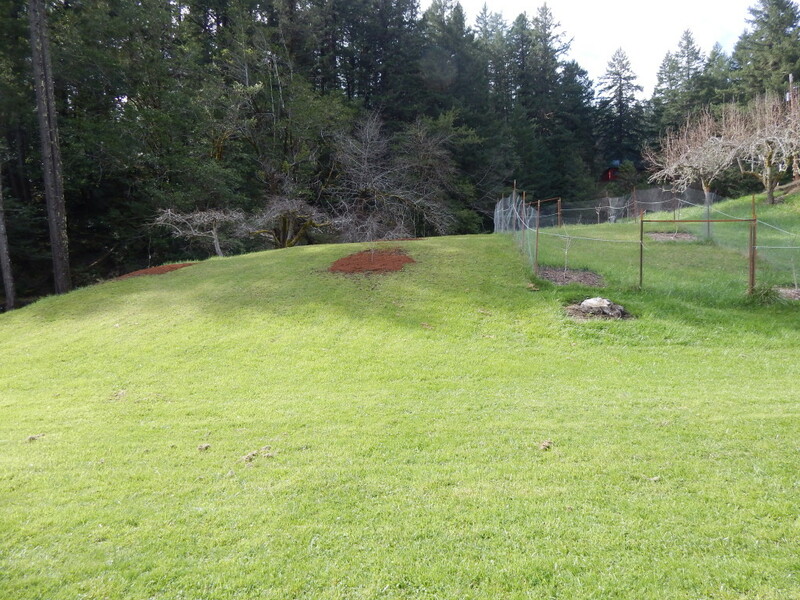 The biggest addition is three crabapple trees. 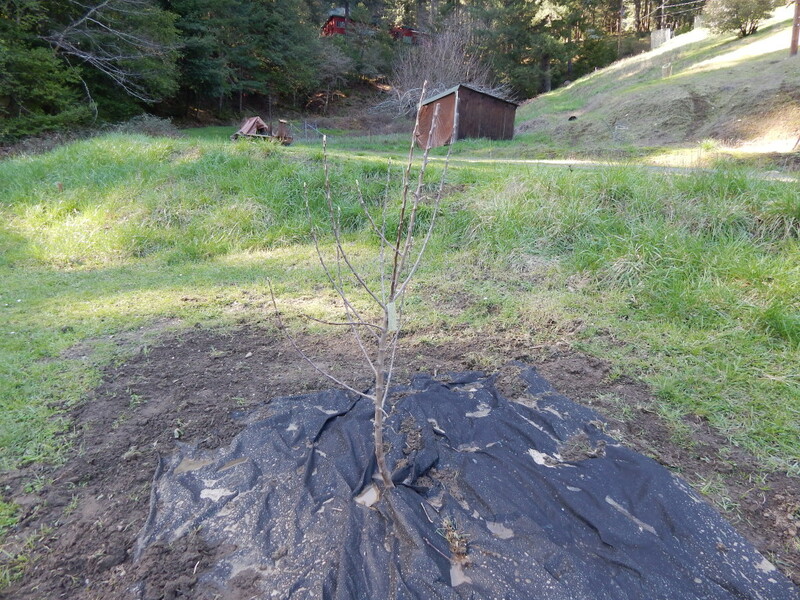 We have planted 10 Gravenstein apple trees at the lodge over the last five years. Gravensteins are our favorite apple, but they have one minor downside. Gravensteins produce sterile pollen. In order for fruit to form, the flower has to be pollinated with viable pollen. Now that some of the Gravensteins are getting to the point where they may bloom, I wanted to be certain that they’d have a pollen source. Crabapples have a long bloom period so they’ll help pollinate the Gravensteins and the later blooming apple trees. The crabapples are important, but they aren’t the only addition. One of the firefighters who came to the area to fight the Klondike Fire told me about a pineapple guava. He said it was the best fruit that he’d ever eaten. He said that it would grow in our area so I decided to try it. I don’t know how that will turn out, but it sounded interesting and it isn’t a fruit that our guests are likely to encounter in a lot of other places. The other fruit that we are experimenting with this year is a black currant. 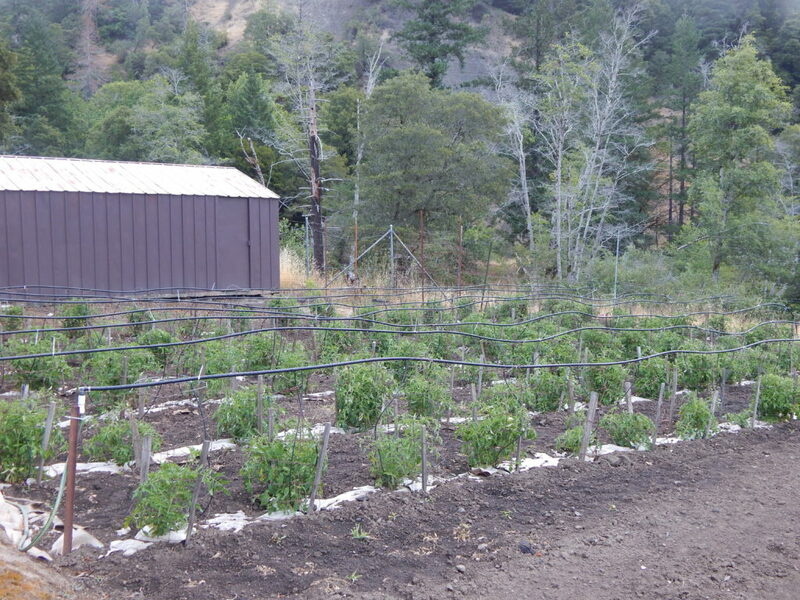 When my great-grandfather was caretaking for A.T. Jergens at Jergen’s Lodge – across the river and downstream from Foster Bar, they grew a lot of currants (and a lot of apples). Over time, I anticipate expanding from one plant to several – if I find that I use them. 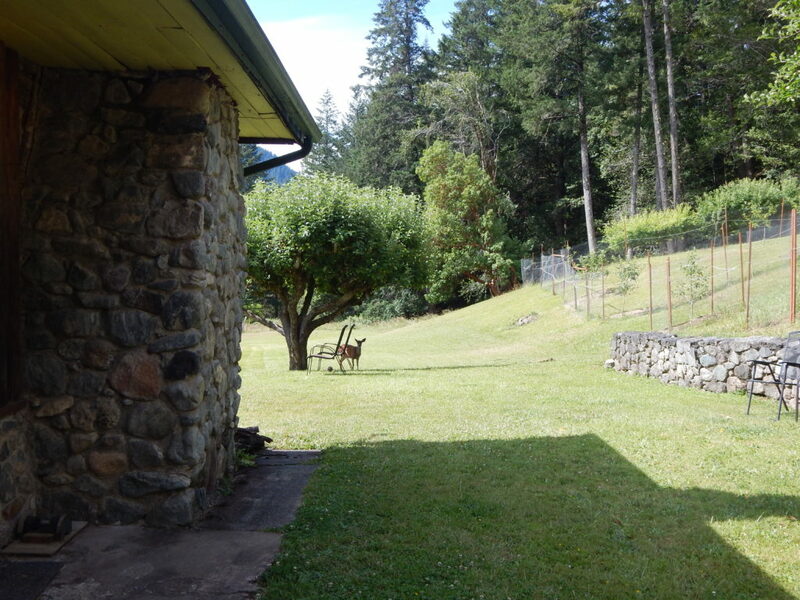 Looking for Lodging on the Rogue River? 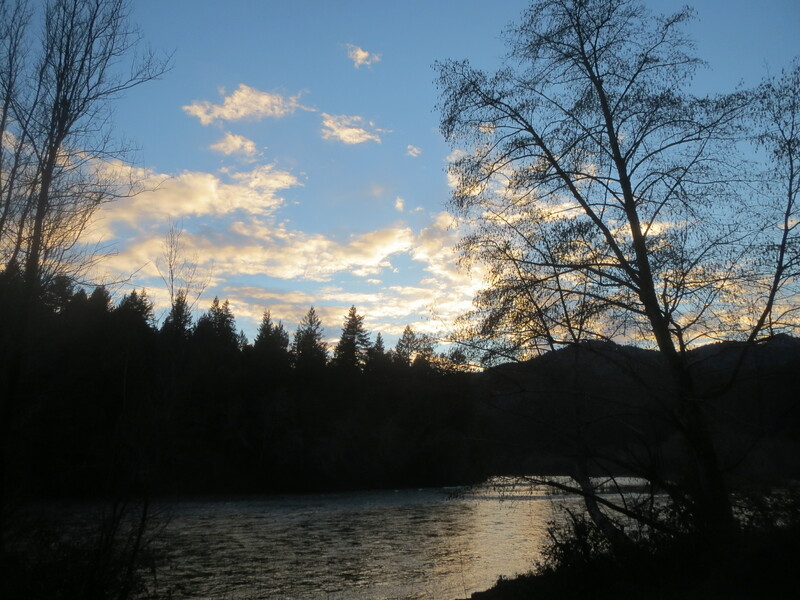 We are hearing from groups who are looking for lodging in the Illahe/Agness area of the Rogue River this spring, summer, and fall. We do have availability this spring and summer. For the first time in many years, we will also have some availability for do-it-yourself and commercial groups who are floating the Rogue River or hiking/running the Rogue River Trail this fall. If you are interested, please feel free to give us a call at 541-247-6111 to discuss your plans, proposed dates, any special dietary requirements, etc. I hope we see you on the Rogue in 2018! The fruit trees are all pruned. We’ve added eight additional apple trees of varieties that my great-grandfather would have planted or grafted if he’d had access to the varieties. These trees are at the far end of the garden where they’ll provide some shade on hot summer days. Down the road, I can foresee adding a bench under the trees. The varieties we added this year are Newtown Pippin, King, Akane, Braeburn, Northern Spy, Sierra Beauty, Grimes Golden, and Fameuse. In total, we have planted 26 apple trees over the last three years. We are planning to add four more apple trees this coming winter. In 2017, we converted Room 2 in the main lodge from having two twin beds to one double bed. That change has been very popular. For 2018, we will be upgrading that room from having a double bed to having a queen bed. 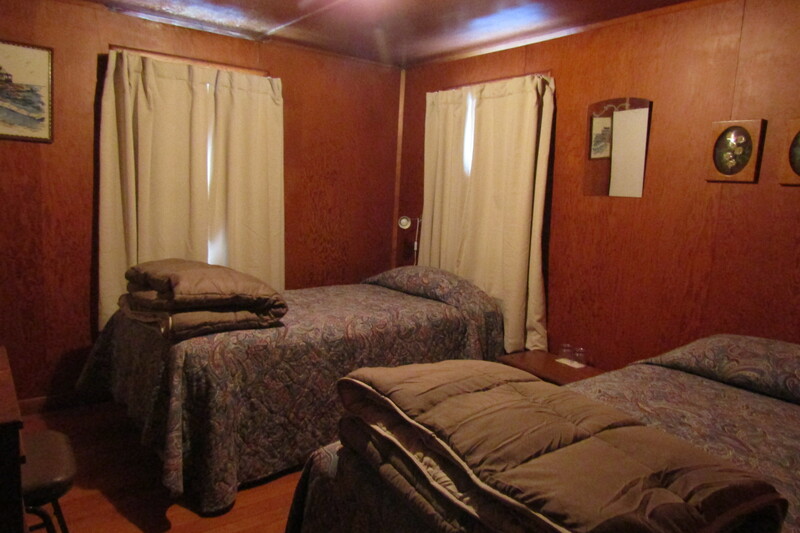 Also, Room 4 in the main lodge will be upgraded from having two twin beds to having one queen bed. By September 1, all of the beds in the main lodge will be extra long twins or queens. In the annex, the three rooms facing the driveway will each have a standard twin with a double bed. In addition, all of the beds in the main lodge and the annex will be less than four years old. 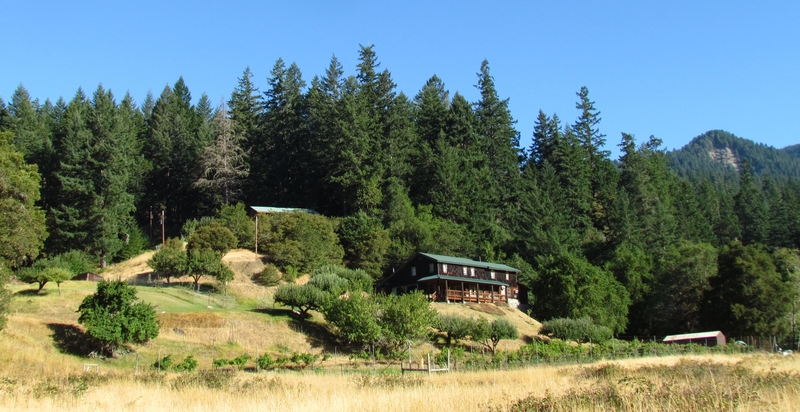 For the first time in many years, we will have some availability this fall for do-it-yourselfers who are floating the Rogue River as well as people who are hiking or running the Rogue River Trail. If you are looking for lodging in our area, I hope that you’ll keep us in mind. The last commercial canyon float trip of 2017 stayed at Illahe Lodge on November 3, 2017. It has been a good season thanks to the outfitters, guides, and guests who stay with us. Trip size will be limited to six boats (18 people including guides) on commercial trips. We will continue to allow guests to bring and consume alcohol at Illahe Lodge in moderation. We are now accepting reservations from people wishing to stay at Illahe Lodge during the winter and spring. If you are interested please contact us through this website or at 541-247-6111 between 8 A.M. and 6 P.M. Thank you! Hope we see you on the Rogue in 2018! 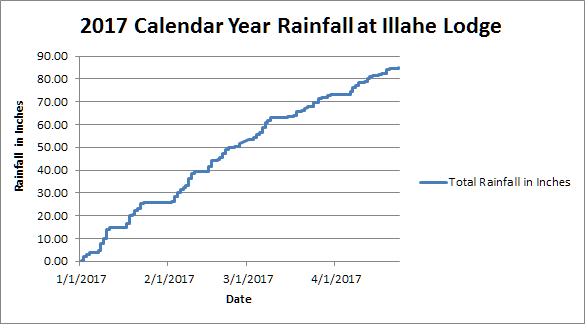 We have received the equivalent of 87 inches of rain at Illahe Lodge since New Year’s Eve. As part of our normal maintenance at Illahe Lodge, we purchased eight new Sealy Posturepedic cushion firm beds for Illahe Lodge earlier this month. The beds arrived about a week ago and are now available for our guests’ use. For the first time, we have two guest rooms that have a queen bed and extra long twin bed. In addition, one guest room was converted from having two twin beds to now having just a double bed. One of the changes for 2017 is the addition of a weather station at Illahe Lodge so we are able to track the amount of rain, high and low temperatures, wind direction and speed, and humidity. 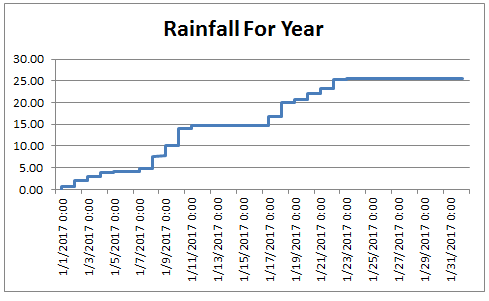 We had quite a bit of rain in January, although it didn’t seem like it was anything out of the ordinary. We have been busy pruning apple trees and that project is almost done. (We just have one of the old trees left to prune.) Most of the eight gravenstein trees that we planted in 2015 each produced a few sample apples in 2016 and we will be letting them produce more apples in 2017. 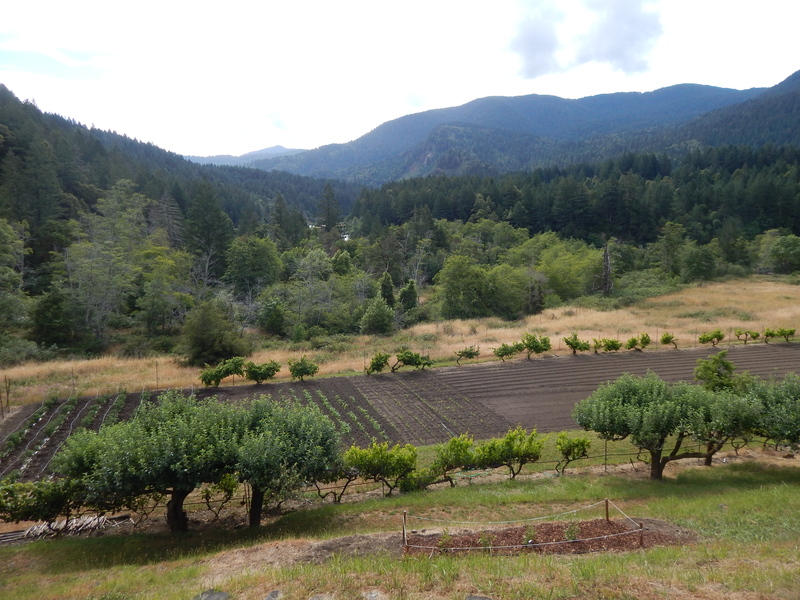 We planted a Hudson’s Golden Gem, Dorsett Golden, two Coos River Beautys, two Wintersteins, a Spitzenburg, and a Mendocino Cox in 2016 and they will be allowed to have a few sample apples this year. We will be planting a different strain of gravenstein, a Brown Russet, and a Red Boskoop in a few weeks. If all goes as planned, we will be adding Orenco, Grimes Golden, Braeburn, Sierra Beauty, and Rome Beauty trees when the winter rains arrive this fall. We have planted three corn patches at Illahe Lodge now. 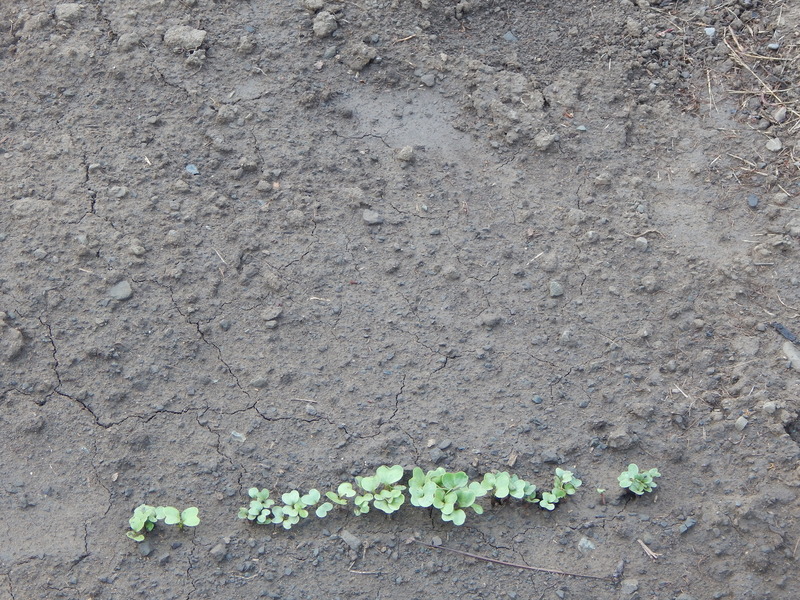 As soon as the most recent planting reaches about six inches tall, we will plant another one. This approach enables us to have corn from late July until the end of our fall season. The tomato plants have fruit and we anticipate having extra tomatoes available for purchase in July or August. We’ll post information about buying tomatoes on Facebook when we have extra tomatoes. This year, we are experimenting with radishes and carrots in hopes of being able to serve our guests more fresh vegetables that are grown at Illahe Lodge and – eventually – accommodate guests wishing to stay at Illahe Lodge with short notice. 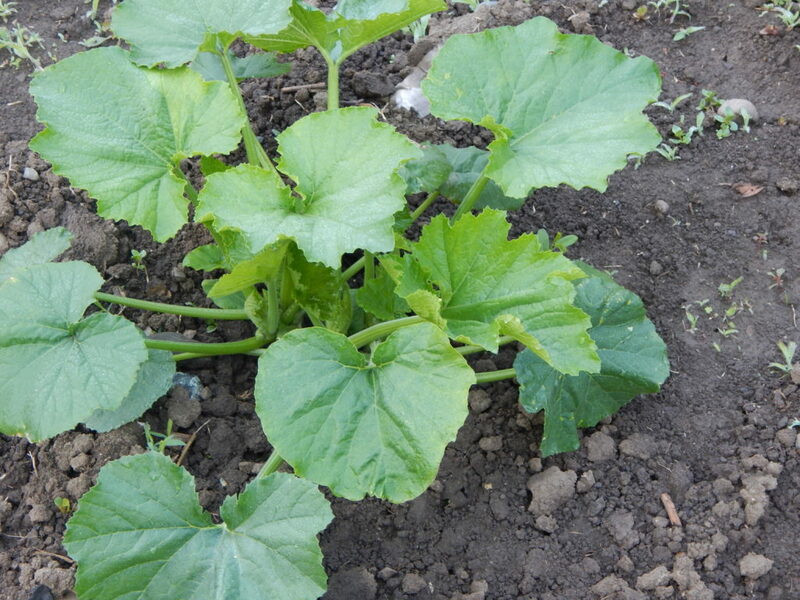 The summer squash, cucumbers, melons, and winter squash are growing nicely as well. Yesterday, we picked four boxes of transparent apples and made about 12 gallons of applesauce. Most of the gravenstein apple trees that we planted last year have fruit on them and our mature gravensteins are loaded. We are keeping our fingers crossed, but right now it looks like we are going to have a good year for our favorite apples. We have continued the expansion of our fruit orchards that began last year with about 20 fig trees, eight apple trees, and three crabapple trees. This week, we planted eight additional apple trees and two peach trees. The criteria that were used to select the apple trees included flavor, extending the growing season, historical interest, and varieties originating in Oregon. 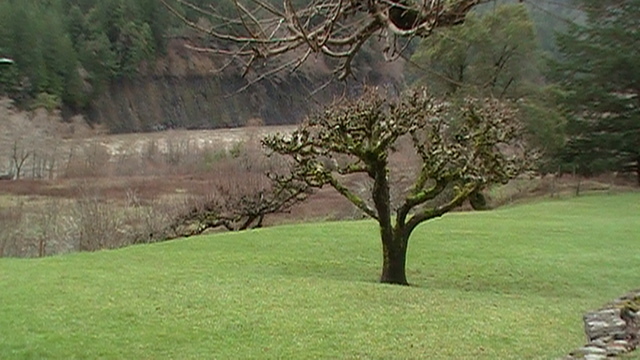 After a year-long search, we were able to locate Coos River Beauty apples – a variety discovered in Coos Bay, Oregon. We also added a Hudson’s Golden Gem – a variety discovered in Tangent, Oregon. Down the road, we hope to add an Orenco tree – another Oregon variety. After a busy fall, we’ve seen the Rogue come up several times, including once where – in our area – it was higher this year than it got during 2015. Things are a little slower at Illahe Lodge in the winter. When weather or the river permit, guests are coming in to relax and go fishing. In addition, we hosted a group of ultrarunners over New Years. A second group is planning to come in March, weather permitting. For those of you who are interested in ultrarunning, our ultrarunning guests usually leave Galice in the morning of the first day, arrive at Illahe Lodge in the afternoon, spend the night with us, and then run back to Galice the second day. They say that this is a great way to spend the weekend. Some of these guests use Rogue as a training run for their races. In addition to providing lodging to guests, we are also working on several projects at Illahe Lodge. With the rain, a few trees have fallen down and we are waiting for the weather to dry out enough that we can clean up the debris. One of the guides who helps us with big trees will be in to help us deal with that, when the weather cooperates. In addition, the tree pruning has started. Some of the guides are planning to come in and help us with the tree pruning. Here too, we have to wait until the weather cooperates. In terms of indoor projects we are also working on the orchard plan that we started last year when we planted eight gravenstein (apple) trees, three crabapples, and roughly 20 fig trees. This year, we are planning to plant a variety of additional apple trees (including Hudson’s Golden Gem and Coos River Beauty – two apple varieties that were discovered in Oregon). We’ll be planting two peach trees, strawberries, and some blueberries as well. Other plans that we are working on include creating a covered smoking area for our guests. Hope we see you on the Rogue in 2016! Illahe Lodge is open year around. Reservations are required. Give us a call if you are looking for a place to stay in the area and are looking for a country home environment. The Rogue River on January 28, 2016. The transparent apple tree that was planted by E.J. Schneider (my great-grandfather). 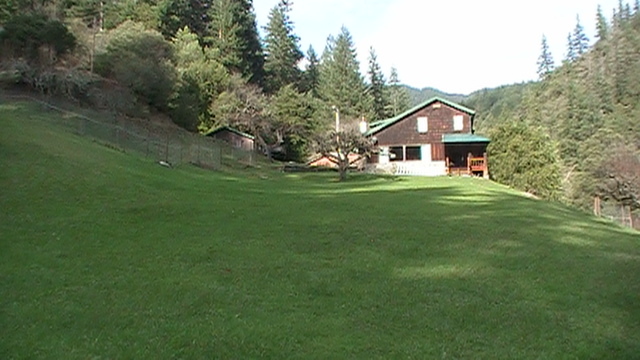 A look at Illahe Lodge from the gate to Big Bend Pasture.